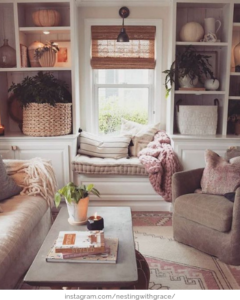 Whether you’re getting settled in your new home or preparing to sell your current one, adding in cozy features can make a huge difference during the winter. They can make your home feel warmer and more inviting to guests, to potential buyers and to you! Fortunately, it doesn’t take a lot to make a home feel warm and comfortable for winter. But if you’re not sure where to start, don’t worry, we have you covered! Here are some quick tips and tricks to help you cozy up your home. Fluffy pillows and fuzzy blankets can go a long way in make a cozy home! Not only can they add a design element to the room, they can make even a small space look more inviting. Selecting a soft or neutral color palette will give your home a clean look while still having a warm feel to it. Also by adding in small pops of color, you are adding more interest into the room without overdoing the style. A great way to add a warm touch to your home is by featuring artwork on your walls. This can be artwork that you’ve created yourself or pieces that you’ve selected from other artists. It helps to personalize your home and adds character to any room! 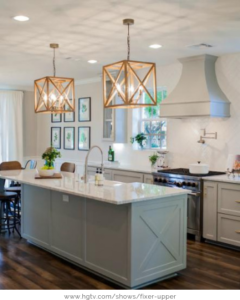 A great way to avoid the harshness and cool tones of overhead lighting is by bringing in accent lights. This can be hanging lights like the one shown above, or it can be with laps tastefully placed in a room. They create a warmer glow that promotes relaxation and comfort! Trade out the sharp corners of your usual coffee table and replace it with a cushioned surface instead! An over sized ottoman does a great job at softening a room and adds in that cozy feel. Include a hard surface on top, like a tray, so it can remain functional as a typical coffee table. Although it can be tricky to execute, mixing furniture styles and patterns can add a lot of interest to a room. 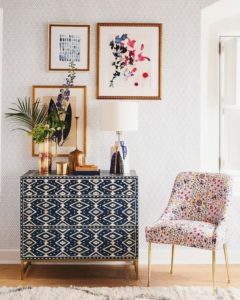 Even though the patterns in the photo above are very different, the designer pulled together the individual elements from each item to fit together an overall look. Hanging photos of some of your favorite memories can brighten up even the smallest places. One of our favorite places to feature family photos is along the stair case! The stairs create a natural line that keep the style neat but still inviting. Layering accent rugs cab be an easy way to warm up your home, especially with hardwood flooring. 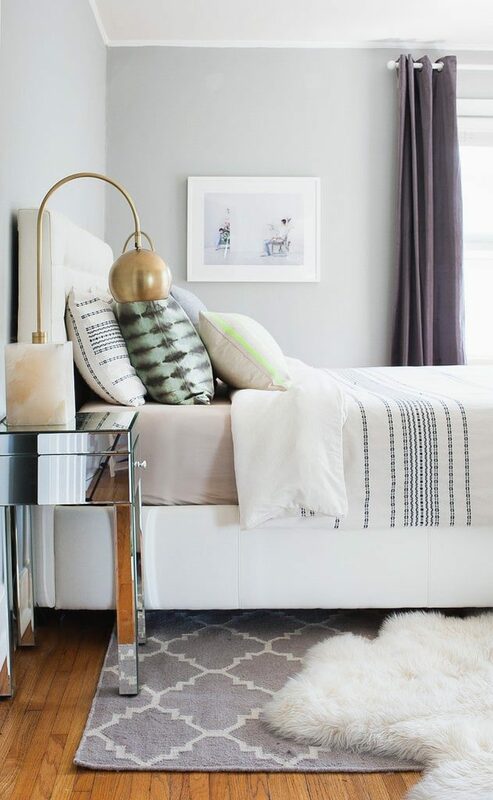 Just like with mixing textures, it’s important to not over do it. A single color rug layered over a patterned area rug is a simple way to apply this to your home! If you’re not loving your current cozy home and are ready to buy a new one, reach out to a Pearson Realty Group Agent and see how they can help you find your perfect place! Not quite ready to buy? Explore our full amenity rental buildings! No matter where you’re looking to live, our rental buildings have a place for you.